Enjoy your weekend with creative and inspired vibe! 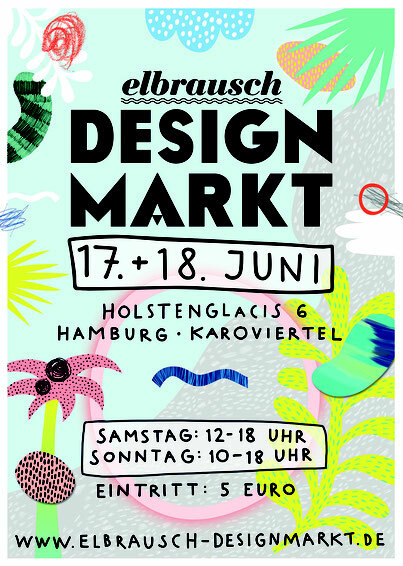 You are invited to visit Elbrausch-Designmarkt on 17. and 18. June in Hamburg, Germany. Elbrausch-Designmarkt is a plattform for creative newcomers and innovative ideas. It presents Designer-made products from the following areas - jewelery, fashion, textiles, furniture, household accessories, illustration and photography. For thoses who are searching for products which are regional-produced or made from small studios directly, it will be the right place for you! I hope that you will have a good time there and enjoy the connection with the makers! How to find the market?